Terror, being very close to vomiting, fear, screaming until there is no voice left to scream with and loving every moment! That is exactly how I would describe Universal Orlando’s Halloween Horror Nights 26! Thank you to Universal Orlando for bringing us out! All opinions and thoughts in this post are my own! Are you ready for a night full of thrills and chills? 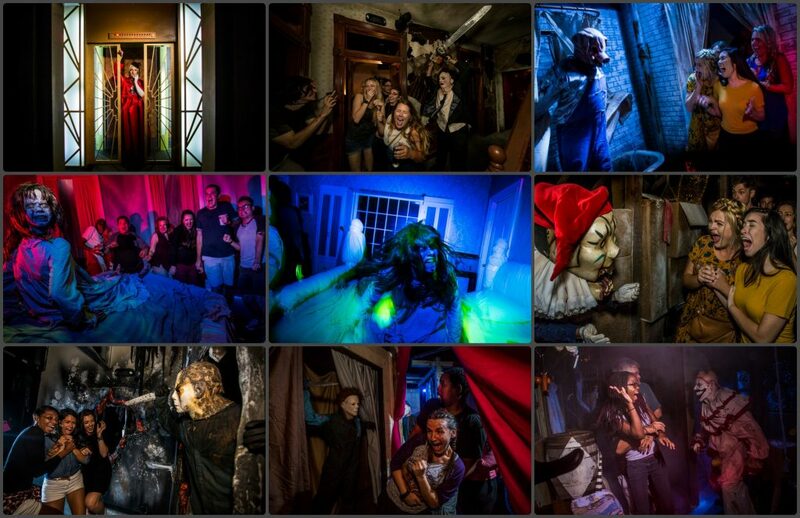 Then look no further, Halloween Horror Nights 26 in Orlando is going to give you screams galore. Trust me when I say you will scream. I was lucky enough to check out Halloween Horror Nights 26 the very first night it was open and I was not disappointed. If I am being quite honest there were a few times I didn’t think I would make it through the night. I thought I might have to wave my white flag and ask to be escorted out, but I made it through the night. My mom and I were so thrilled to be invited by Universal Orlando to take on Halloween Horror Nights 26: You Won’t Stand a Chance. You might remember by thoughts on last year’s Halloween Horror Nights being the best one yet, well, I have to say once again Universal Orlando has outdone themselves yet again. This year’s theme takes us into Chance’s world. You might remember her as Jack’s assistant from last year. 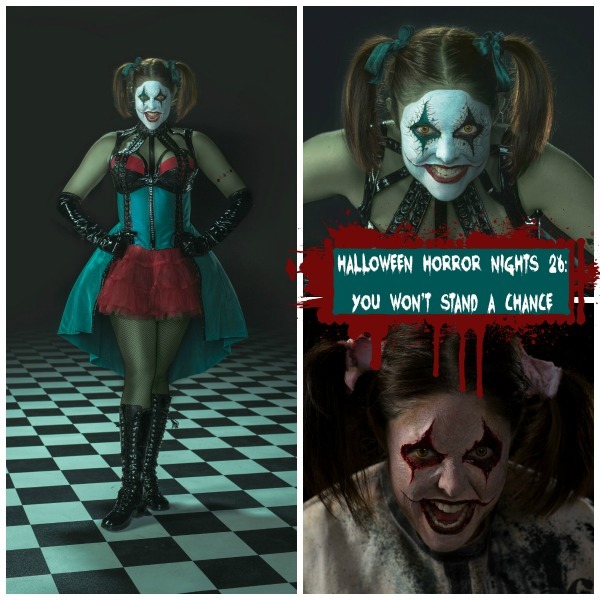 She was off the charts creeptastic last year, this year with Chance running things Halloween Horror Nights 26 is taken to a whole new amazingly disturbed level! 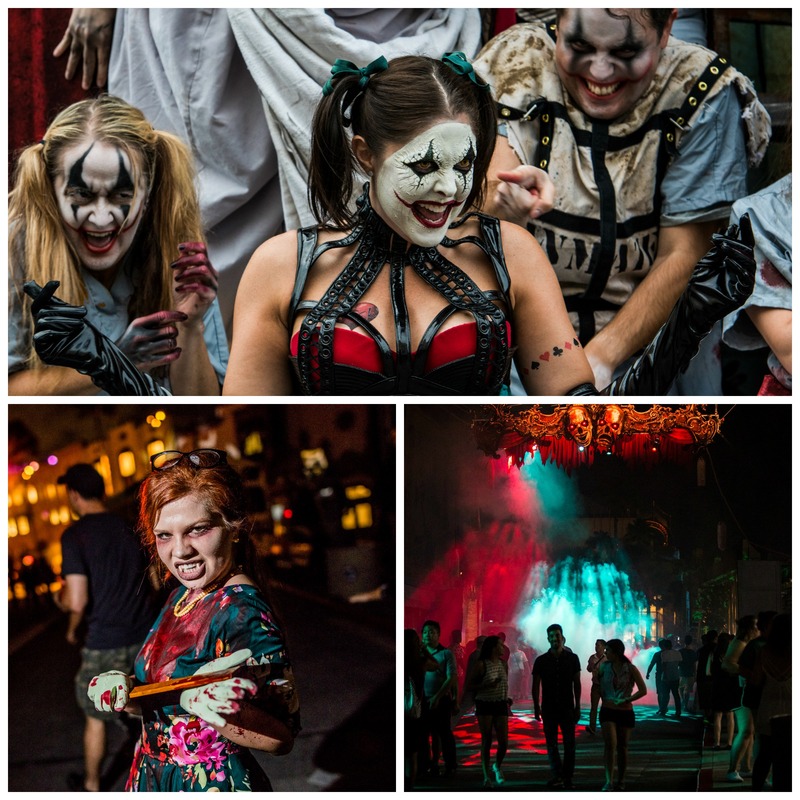 At Halloween Horror Nights 26 you are going to experience the biggest event yet. There are 2 live shows, 5 scare zones, 9 houses and a new virtual reality experience that has yet to be done before. I have a feeling every night is going to be packed this year because of some of the big name houses you will get to experience, so to really enjoy it (without having to wait 2 hours for one house) be sure to get there early. If I were you I would go early and, if possible, budget for the express pass (which ranges from $89 to $140 depending on the night you attend) or even the RIP Tour experience (pricing starts at $180 plus the cost of your HHN ticket) to see all that HHN26 has to offer without the long waits. Lunatics Playground 3D. I am a sucker for 3D houses, and this house takes you through Chance’s mind. It may be a challenge for those who get motion sickness due to the 3D. The moment you walk in, you go through a vortex tunnel that takes you deep into Chance’s mind. While in the house you will experience her “sane” and not-so-sane moments as they go back and forth from reality to her world. The Exorcist. Not for the faint of heart, especially if you were scared by the movie. This takes you right into Reagan’s story (and room, as you recall from the movie it only takes place in one room the entire time). So, Universal Orlando definitely had their work cut out for them and they did not disappoint. This is the house that had me wondering if I was going to make it all the way through. Because they couldn’t leave out the famous vomiting scene, guests get to walk through a room full of “vomit” and smells and be careful because you might just get a little sprayed on you. This was definitely the top of the scary list. American Horror Story. It needs no explaining. The American Horror Story house takes from the first 3 seasons of the show. If you are brave enough to watch it (I am not) then you will likely know more than I did about the characters in this house. It was truly terrifying and disturbing. The Walking Dead. We got to hear from the cast of The Walking Dead, along with the producer and when they raved about the house I just knew it wasn’t going to be a letdown. This house takes from the first six seasons of the show. I admit, I am a HUGE Walking Dead fan so this house was so much fun to walk through. While you won’t find out who Neegan kills, you will immerse yourself among walkers and get the snot scared out of you more often than not! The Texas Chainsaw Massacre. Enter into Leatherface’s Texas farmhouse for gore and scares galore. The continuous sounds of the chainsaw will have you continually looking around and then when you least expect it one of the many Leatherface’s will be right there hoping he may get your skin to wear. Halloween II. Starting right where Halloween leaves off, Halloween II will take you along as Michael Meyers goes on a killing spree through a hospital. He doesn’t take too kindly to visitors seeing his every move, so you’ll need to keep an eye out for one of the many Michael’s coming at you! Ghost Town: The Curse of Lightning Gulch. This is one of the original houses at Universal Orlando’s Halloween Horror Nights 26. I thought this house was really cool. It takes you back in time to the 1849 Gold Rush, to an old western town where greed took over. As you walk through this set, it’s one of the coolest designed houses, in my opinion. You truly feel like you are back in the old west. You’ll see ghosts and bodies left behind and there were quite a few times I was scared to “death” in this house. Tomb of the Ancients. This house is not for those who are not good with tightly enclosed spaces. It plays with your senses and if you have any sort of claustrophobia this house may be one to skip. This is the first house (in the last 3 year) where I felt a bit uncomfortable and I usually do great with confined spaces. The story is you are going deep into caves where giants were buries. Set and costumes were perfect for the theme, and you truly feel like you are going deep into ancient tombs. This house didn’t really scare me too much, while I did let out a yelp it didn’t send me into full-fledged scream mode most of the other houses. Krampus. Last, but not least was Krampus. This is very appropriately themed and based on the movie (which I have not seen). Krampus is supposedly the anti-Santa. If you are not a believer of Santa, you will want to change that because you definitely don’t want a visit from Krampus. The entire house is Christmas themed and with smells of gingerbread, you feel like you have left the Halloween days and jumped forward to Christmas time. I loved the detail through the house and my favorite scene had to be the kitchen scene with the crazed gingerbread men. This was another one that didn’t scare me that much but I enjoyed it nonetheless. This year there are five scare zones and two shows. The scare zones are A Chance In Hell, Survive or Die Apocalypse, Dead Man’s Wharf, Lair of the Banshee, and Vamp ’55. Every scare zone was fun and full of amazing costumes and decor, however, one scare zone wins my best makeup award. The amazing detail that went into the makeup of some of the scareactors made them seem like they had been dead and underwater for years and years. The zone that was the most fun was A Chance in Hell. Getting up close and personal with some of Chance’s fellow asylum friends was a blast. The zone that scared me the most was the Vamp ’55. There is just something about a vampire cheerleader making you yell “Go Team” at the top of your lungs while holding a chainsaw inches from you that is a bit on the unnerving side. There are two shows this year! Bill and Ted’s Excellent Halloween Adventure and Academy of Villians: House of Fear. We did not get to see the later so I can’t say much on it. However, we did sit in on Bill and Ted and once again, they take inappropriate to a whole new level. If you embarrass easily from naughty jokes then you may want to spend your time in a house. All in all, I was very impressed with Universal Orlando’s Halloween Horror Nights 26. It’s full of amazing detail, scares, over-the-top characters and it makes me wonder how Universal Orlando is going to be able to top it, but I am sure they will. For information on how you can attend on of the nights at Halloween Horror Nights, 26 just head over to their website and get all the details! Be sure to let me know what you think of the event if you get to go this year! Before you go, why not check out a walk-through of American Horror Story and Lunatics Playground thanks to Theme Park Reviews. I’m located nowhere near Orlando so I won’t be going this year. But someday, oh someday, I will attend. 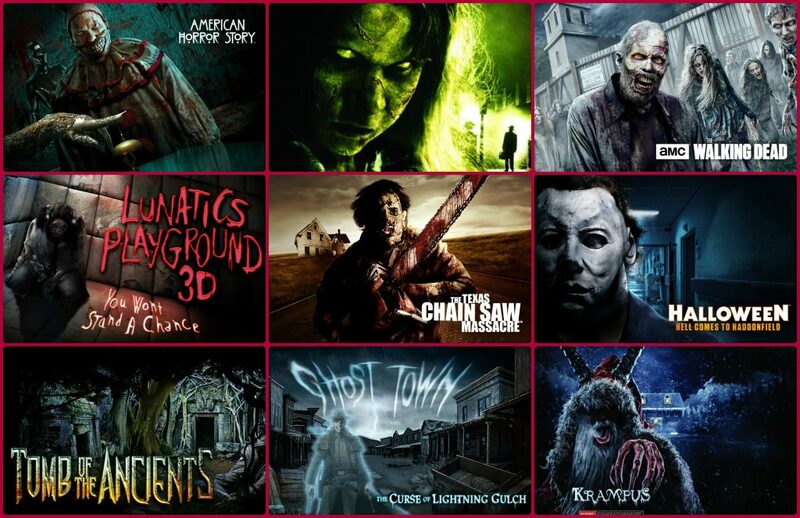 I love haunted houses and all of these look amazing.